Tesla Rich obtained her degree in Veterinary Technology from Alfred State College and became an LVT in 2013. She started working in a small animal general practice for a few years before working at Cornell University Hospital for Animals in the Community Practice Service. She joined the SOS team in 2015 and enjoys working with shelters in the community. She resides at her small horse farm with her son Jethro, horses, chickens, and cats. 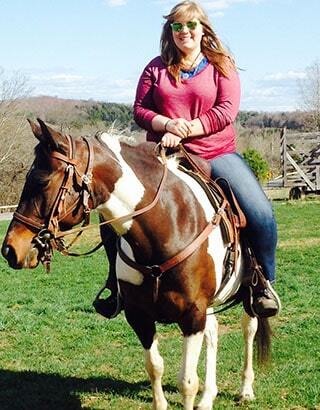 In her spare time, she enjoys horseback riding, exploring, traveling, and spending time with family and friends.